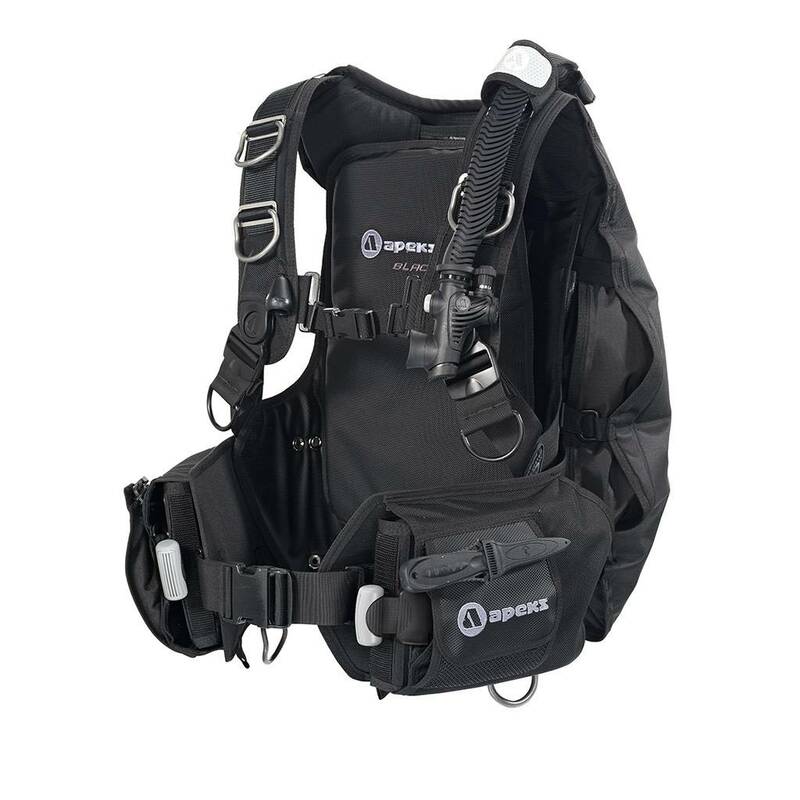 Apeks designed the Black Ice BCD with the advanced diver in mind. It is sturdy with an integrated weight system and back inflation design. 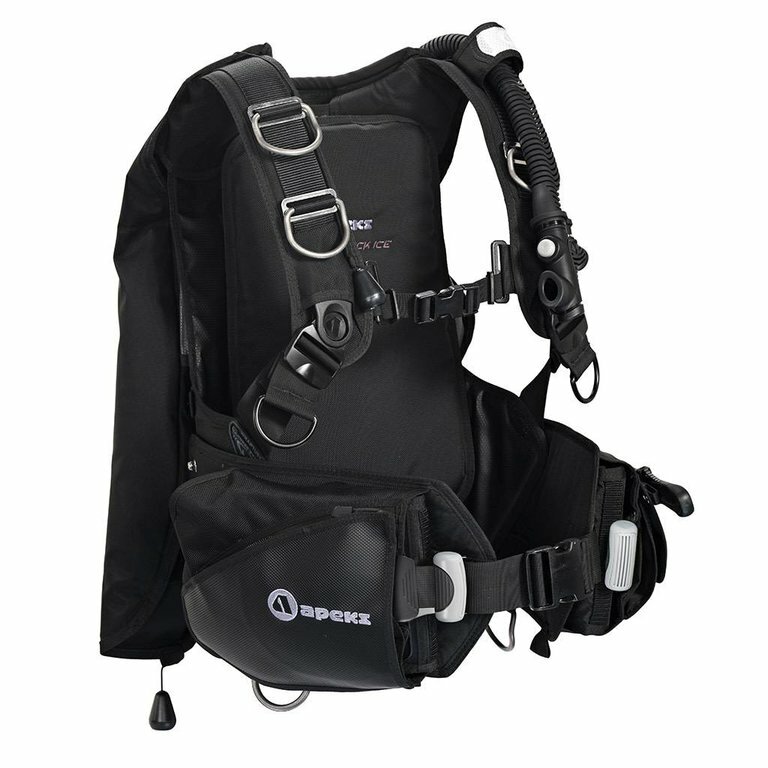 Inspired by military BCDs, it crosses over nicely for technical diving and public safety applications. The Black Ice BCD is only offered in a sleek, all black design. It includes a variety of features that makes it one of the most comfortable and rugged jackets available. It is also weight-integrated and was designed to be used in harsh conditions. Creating the perfect custom fit has never been easier, thanks to Apeks. 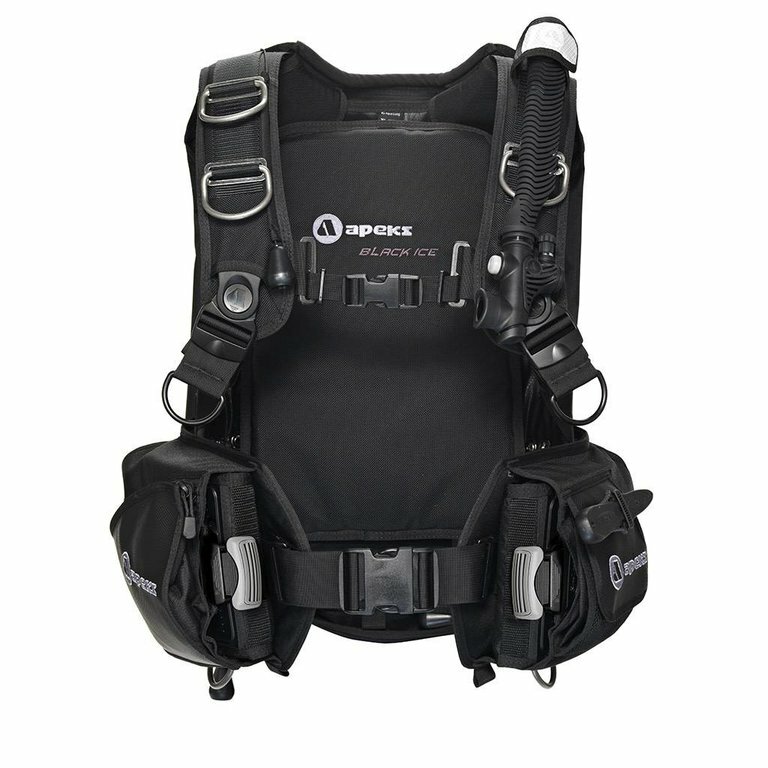 The Wrapture Harness System from Apeks (patent pending) uses swivel shoulder buckles and an ultra-thin back plate, the system provides incredible comfort and unsurpassed stability. Sometimes BCDs will “ride-up” on the user. The Wrapture Harness System prevents this from happening on the surface by conforming to back and hips. Out of the water, the system keeps the cylinder closer to the user’s centre of gravity and transfers more weight to the hips which results in the ability to stand upright with a vertical cylinder. Getting the right size BCD is extremely important for the quality of your dive and for your own personal comfort. The Black Ice comes in a variety of sizes, but Apeks recognizes that not everybody fits perfectly into a certain size. That’s why the Black Ice features grommets that make it the most customizable BCD on the market. There are multiple size settings on the top of the shoulders, as well as either side of the waistband so that a custom and comfortable fit can be achieved at any size. Apeks’ patented SureLock II Mechanical Weight Release System helps to provide a safer, single-pull release for weights. Inserting weights is extremely simple. Listen carefully for a single “click,” and you’re ready to start your dive. The SureLock system ensures that your weights are snug and secure inside your BCD for maximum maneuverability underwater. The only way to release the weight is to pull on the handle. The Black Ice’s Powerline Inflator has been reimagined with an increased fill rate which is now one of the highest inflation rates in the industry. With four dump valves, one in each corner, three are proprietary flat valves and feature a streamlined design. The upper-left dump valve is the rapid exhaust valve found at the top of the Powerline Inflator. For less maintenance, the Powerline Inflator is environmentally sealed and has integrated hose clips for attachment to the LP hose for a low profile. With a cable-activated rapid exhaust at the top of the Inflator, it’s easy to pull down and dump air.